Can a Fixed Book Price Law Stem Poland’s Sales Slump? WARSAW: The Polish Chamber of Books (PIK) has drafted a bill which is set to introduce fixed prices for new book releases for 18 months after publication, with an exemption for ebooks (which have the higher VAT rate of 23%, as opposed to the 5% levied on print books). The chamber sees the proposed regulations as a remedy to the continuing decline of book sales in Poland. But some local observers accuse the chamber of hampering competition and fostering protectionism in the publishing market. Can the New Bill Boost Readership? The data released by the PIK draws a gloomy picture of the state of the country’s publishing industry. Between 2010 and 2012, books sales decreased from 139.2 million copies to 107.9 million. Last year, only 11.1% of Poles read more than 7 books, compared with 11.6% two years later. An average Pole spent only about 60 zloty (US$19.2) on books in 2012. The figures were obtained from Poland’s National Library (Biblioteka Narodowa) and local book publishing research firm Analysis Library (Biblioteka Analiz). The bill is designed to bring significant change to the market. According to the PIK, it will introduce “fixed prices for new releases” and enable publishers to “create mechanisms of internal subsidies” which will allow [them] to finance non-commercial releases with profits generated by bestsellers. The PIK says that “stabilizing books’ prices will help small publishers and bookstores.” From 2010 to 2012, the number of bookstores in Poland fell from some 2,450 to 1,800, which represents a decrease of over 36%, according to figures obtained by the chamber. Local observers agree that independent bookstores are struggling to stay afloat in Poland as they are elsewhere in Europe. 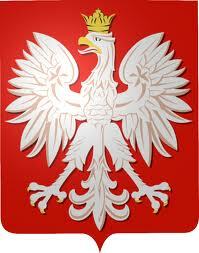 The news service DI.com.pl obtained a draft of the bill from the PIK. According to the draft bill, the obligation to “use the fixed price set by the publisher or importer for retail sale expires 18 months” after the first copy of the book was sold in the Polish market. The new regulations will not apply to ebooks. Meanwhile, a number of local observers from within Poland’s publishing industry have criticized the draft bill, raising questions on the regulatory solutions it foresees. For some in the industry, the PIK’s proposal represents a denial of free market principles. In spite of the critical voices, the industry association has been able to secure political backing for its legislative proposal. Among the supporters is Polish Minister of Culture Bogdan Zdrojewski, who has spoken in favor of the draft bill. “We should think about [using] models which proved their efficiency in other countries, so that a book which is about to enter the market … had a fixed price adequate to its publishing cost for a limited period of time,” Zdrojewski said at the 17th Krakow Book Fair in late October, as reported to local news agency PAP. The industry association is expected to submit the final version of the bill by the end of this year. The draft is currently being revised in accordance with the imput of various stakeholders, according to the PIK. Set up in September 1990, the PIK is headquartered in Warsaw. Currently, the chamber has about 240 members active in the local publishing industry.